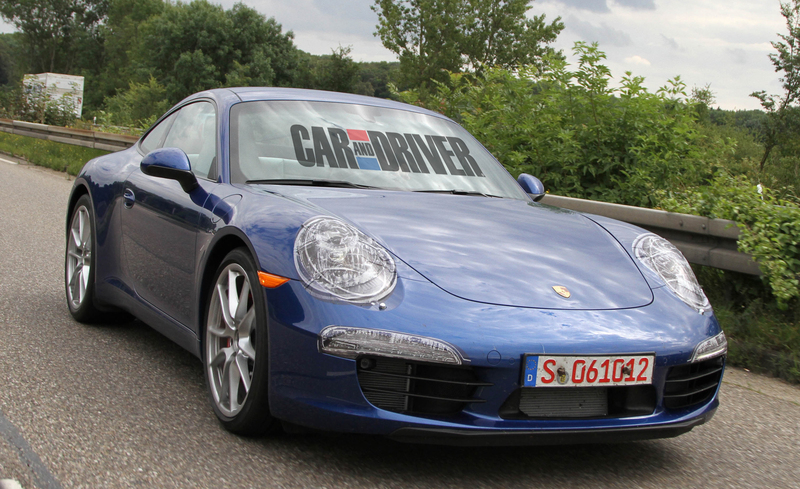 We’ve spied new Porsche 911 as high up the range as the Turbo and we’ve even ridden in a mule with the engineers. But when can you finally see the darn thing without all the black cladding? You can see the darn thing right now. Okay, so the view of the yellow car is still vaguely distorted by the car version of one of those plastic masks basketball players wear to protect broken noses, but it is at least clear, and between it and the optical illusion at the front of the blue new Porsche 911 (Porsche 991) seen here, you should have a solid idea of how the car’s details look: familiar. Aside from a set of grille openings that now look more akin to those of the Porsche Boxster and Porsche Cayman and a hood-and-headlight combo that’s a little more serious, there’s not much about the car’s face that’ll upset the traditionalists. The same goes for the side profile, despite the fact that the new car sits on a wheelbase that’s 4.0 inches longer. 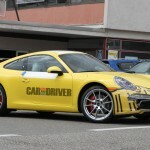 The designers, it seems, have paid special attention to preserving the iconic proportions of the Porsche 911. Only one new wheel design is represented among the two cars, but at least it’s a good one. You’ll also notice rear windows with or without the wiper option. It’s out back where all the controversy will be stirred. The changes might seem mild by typical standards, but as far as 911s go, they are fairly revolutionary. Actually, in the way the decklid now cuts off flush with the top of the taillights, it’s more retro than anything, a reference perhaps back to every model before the 996. Alongside other contemporary designs, however, it’s hard to look past the cut lines having a more hunchbacked Aston Martin look. And those taillights are the sleekest things Porsche has ever made this side of the Porsche 918 Spyder concept, from which they do seem to draw inspiration. We like the updates, but know they’ll take some time to find love in some circles. Plus, we still haven’t seen an uncovered interior. Hopefully soon, our spies will infiltrate even deeper. 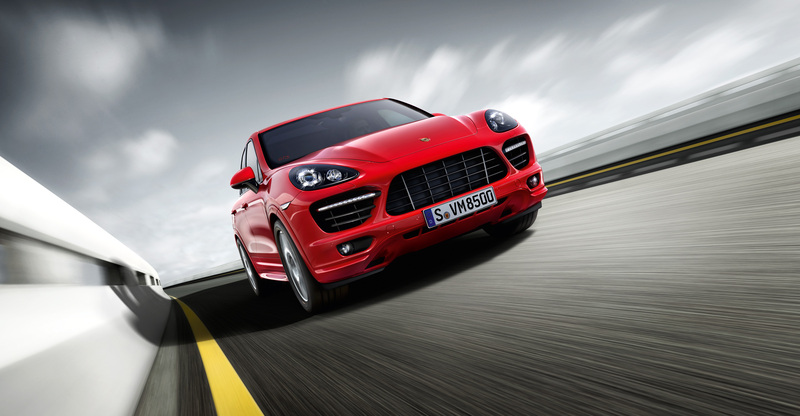 Or perhaps Porsche could just show the thing officially, already.